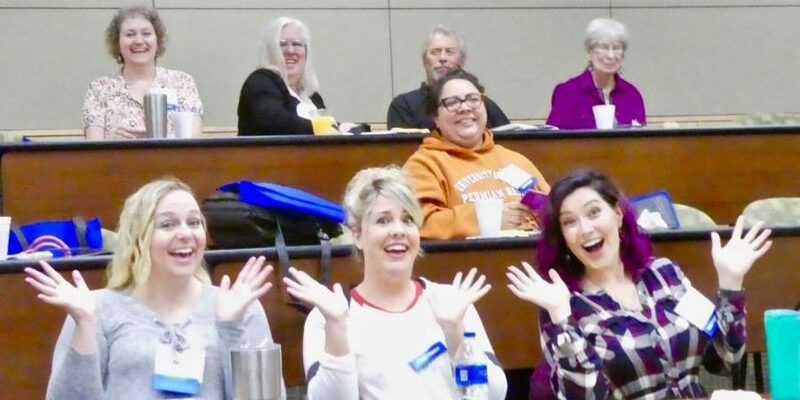 The good news – there will be a Permian Basin Writers Workshop in 2019! We’ve secured the same amazing space on the Midland College Campus and are busy lining up speakers and agents for October. Do your writing a favor and save the date: October 12-13, 2019. All-day workshop on Saturday – This year’s presenter, Kristen Lamb, an international speaker, writing and social media expert, and the author of the top resource for author branding in the digital age. She’ll be speaking about conflict and building narrative tension in your writing in the morning and in the afternoon, she’ll teach you to be a marketing Jedi warrior. Meet ‘n Greet – After the workshop on Saturday, come unwind and network with presenters, fellow writers and agents atop the Doubletree hotel, Downtown Midland. The Doubletree has committed to give our registrants a discounted room rate again this year, so if you’re from out of town, watch here for updates. Workshops on Sunday – We’re lining up a wonderful, diverse list of presenters for Sunday. Our goal? To make choosing which sessions to attend an impossible task! 1 ¼ hour sessions, all day, from fantastic authors including Darynda Jones, Susan Donovan and others. Stay tuned for more. Pitch Opportunities – Two top-flight agents have already agreed to be here, taking pitches in many genres. They’ll be doing a Q&A agent panel, and will be taking your pitches. One pitch comes with the price of your registration, and an additional pitch will be available for a small fee. 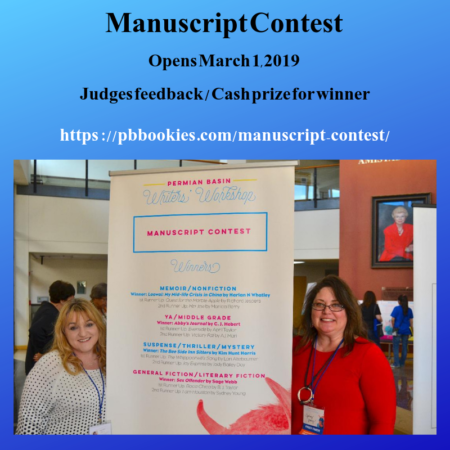 New this year – The Permian Basin Bookies are running a Manuscript contest! The winners will be announced at the workshop. Details can be found at: PB Bookies Manuscript Contest. Check back here often, as we’ll be updating with speakers and class subjects as we know them. Hope to see you in Midland in October!